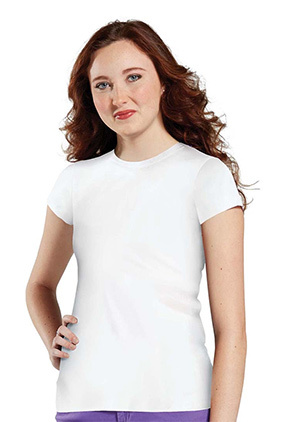 100% polyester moisture management 4.5 ounce jersey knit juniors t-shirt. Perfect for sublimation! Ribbed collar with EasyTear™ label. Taped shoulder-to-shoulder. Double-needle hem sleeves and bottom.